Upon arrival in Costa Rica, as part of our three months of training before being sent to our permanent sites, all aspiring Peace Corps Volunteers (PCVs) are placed with host families. They are our first connection in the country we will call home for the next 27 months, and as such, they help PCVs with our language training and support us as we explore the ins and outs of the Costa Rican culture. After we arrive at our permanent sites we live with a second host family for the first six months of service. This allows us to fully integrate into our communities, build connections, improve our language skills, and hopefully create a support system in site. Costa Ricans have taught me the true value of family, they frequently all live together or near each other, and are always there to help one another no matter what, because family comes first. My second host family has seven people aging from one to 80 years old who live under the same roof, not counting myself or the numerous relatives that visit on a daily basis. This leaves very little space for privacy and independence, something I always cherished as an only child. So, when I learned that I could move out after six months I immediately started scouting my community for the perfect place. Nine months of living with host families in a new culture can be exciting and exhausting at the same time. I learned how to live like a real local. I got to try new foods and learned how to cook some of them. I improved my Spanish and learned a few necessary words and sentences in the indigenous language. I am immensely thankful to my host family for opening their house and lives to a complete stranger. I adapted to their culture and customs as best I could. But, growing up in a culture that values independence and personal space I knew I would be more than ready to move out as soon as I could. 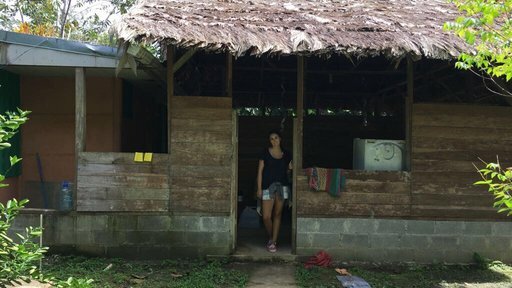 Finding a place where I would feel safe and that complied with all of the Peace Corps safety specifications was no easy task, but I had luck by my side. My host aunt, who no longer lives in town, agreed to sublet me her old house located in my host family’s backyard. 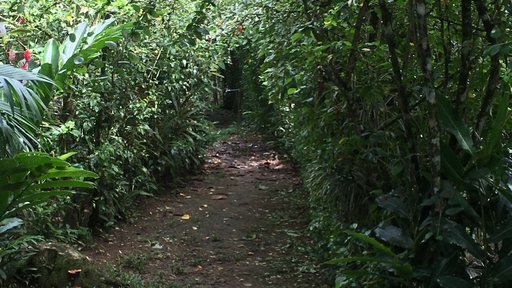 Not only did she make the changes required by Peace Corps, but I was able to remain near to my host family – if that isn’t luck I don’t know what is. Moving out can be costly, especially when you live in a remote area like I do. Luckily my new house came with most of the basic necessities, which allowed me to invest a little extra in things such as painting the interior of the house to cover all of the graffiti-like art my host nieces had drawn over the years. Note to self: painting a house always sounds like a good idea, but it is in fact not, you may end up with more paint on your clothes and hair than on your walls. I have now lived in my house for a few months, and it’s been a learning experience. I’ve learned that no matter how well you seal things sugar ants will always find a way into them. I’ve learned unfortunately just how much poop geckos can produce on a daily basis. 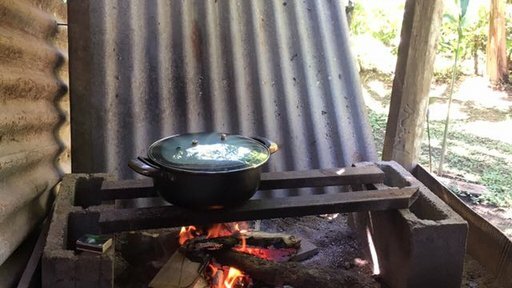 I have also learned to cook on an open fire pit and to burn my trash (which breaks my heart every time, but I have no other choice since we have no trash pick-up in my small, rural community) – it’s been a wonderful and trying experience – just like Peace Corps service.